Reverse Mortgages: Your Client’s Last Option, or Best Hope? Reverse mortgagesthey are the last thing that your clients would ever want, and they are the first thing they need as a last resort. Reverse mortgages—they are the last thing that your clients would ever want, and they are the first thing they need as a last resort. Such are the opposing, yet surprisingly complimentary, views of what is still for many a highly controversial topic. For the past several years reverse mortgages have been a largely taboo topic for many retirement planners. They are seen as an ultimately penalty for individuals who failed to properly plan for retirement in the first place, and must now ‘take the easy way out’. Not to mention, many of these individuals aren’t clients of financial planners anyway — or at least they weren’t in the past. But that is about to change for many, as new regulations go into effect in 2015 that will require individuals that opt for a reverse mortgage to have financial planner counseling. Get ready to have a lot more conversations with clients about this alternative revenue option. Despite their largely negative public image, many mortgage loan originators say reverse mortgages can represent a legitimate retirement ‘tool’ that enables an individual or couple to stay in their home and maintain a desired lifestyle. 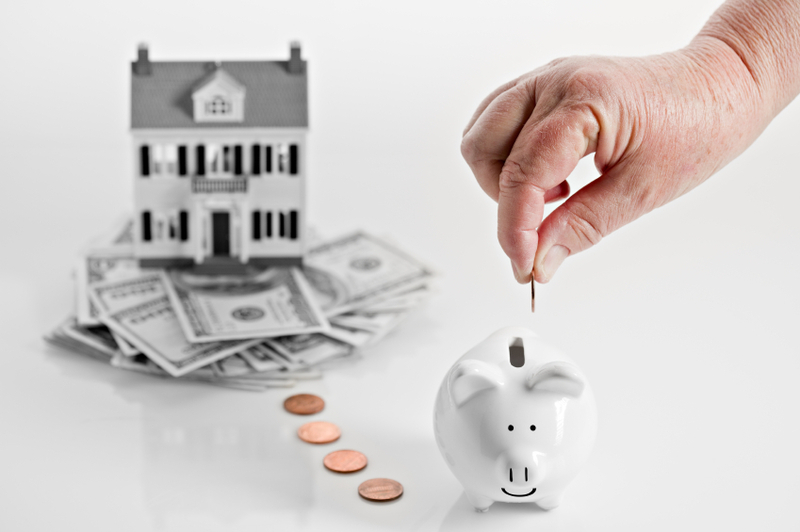 “There are a wide range of reasons why individuals would go after a reverse mortgage,” said Mario Quintero, mortgage loan originator with Strock & Tanner Mortgage Corporation, which serves Florida and New Jersey. Second: “Then you have another client that is not in distress that is doing it from a financial planning perspective. They are basically looking at the product to have disposable liquid cash, without disrupting their portfolio,” Quintero said. Whatever a couple’s, or individual’s, circumstances, the reverse mortgage process is pretty simple, Quintero said. “It is based on the value of the property and the ages of the borrower,” said Quintero, who added that approximately 90 percent of his clients have reverse mortgages. “One in the couple has to be 62, but one can be less than 62. Based on their ages, they receive a limit—which is called the principal limit—against the equity of their home.” That limit is generally about 70 percent of the appraised value of the property. Homeowners can use these funds as a line of credit. They can use it as a monthly payment for the rest of their lives. They can take a one-time lump sum payment. Or they can do a combination of the three. There is a lot of flexibility, Quintero explains. Probably the biggest difference with reverse mortgages today is that consumers are much more informed about them and about how they work, Quintero said. Part of that coaching involves two particular points on reverse mortgages. One is dispelling the myth that a bank will take possession of the property or title, Quintero said. The second concerns changes in the guidelines for reverse mortgages that HUD has imposed over the past year which reduces the amount of funds that a couple or individual can qualify for. “They’re a little upset at the changes …. Because of the irresponsibility of other borrowers in the past that failed to keep their end of the bargain on paying taxes and insurance, and they feel today that they’re paying for those mistakes,” Quintero said. Whether the new changes to reverse mortgage limits, or requiring financial planner involvement, will make reverse mortgages more attractive remains to be seen. One financial planner that is hopeful is Cary Carbonaro, managing director at United Capital Private Wealth Counseling in Newport Beach, CA. But for now, Carbonaro said a reverse mortgage is the last thing a retirement planner should be recommending to a client – and she means that literally. Ironically, it is often not the homeowners that find themselves in Carbonaro’s office asking about reverse mortgage— it is their children. Quintero said that that is the largest disadvantage of a reverse mortgage – inheritance, or lack thereof. “The heirs may not receive any inheritance from the equity of the property,” he says. But children, or no children, Carbonaro admits that for some, the reverse mortgage is their only option. “If someone is sitting across from me, I already know their situation; their assets; their liabilities; so I already know all of that. So I can tell them, ‘it’s an option for you’, or ‘it’s not an option for you’. And as much as she hates the thought, Carbonaro also said she counseled a few clients on reverse mortgages recently. “I had one client who did it, but the kids were my real clients, and they recommended it for their parents. I looked at the situation and came up with the recommendation as an option,” Carbonaro said. A change in heart over reverse mortgages? So am much as retirement planners may hate resorting to a reverse mortgage with a client, it is happening with increased frequency. That is a good thing, Quintero says. “A financial planner should definitely keep an open mind about this product, because I would say that most financial planners have had a negative attitude toward the product in the past. I think that has been shifting in the last two to three years, and more financial planners are looking at the product,” Quintero said. “The biggest reason is the benefit of not having to disrupt their client’s portfolio, and have the client use the reverse mortgage as an addition planning tool to access the equity in their home, which is just sitting there,” Quintero said. Above all, however, Quintero stresses the importance of financial planners to be very involved in the process.